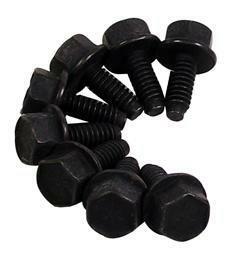 Use these valve cover bolts to secure your factory stamped steel valve covers to your 1994-95 5.0L. Unfortunately the valve cover hardware for 94-95 5.0L Mustangs & 93 Cobra was discontinued by Ford. This kit includes 12 bolts that are very similar to the factory hardware to secure your stock stamped valve covers to your engine. This kit does not include the studs used for the plug wire retainers. This kit will not work with 86-93 or aftermarket aluminum valve covers.